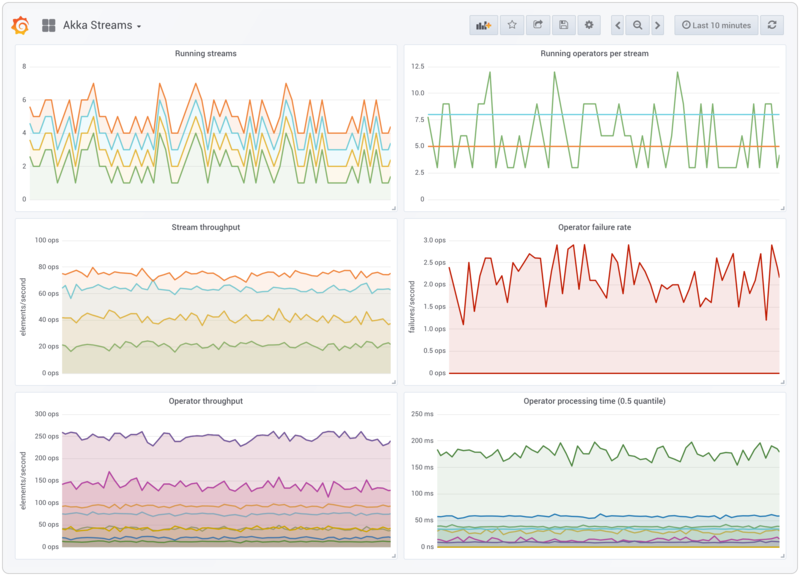 Cinnamon now instruments Akka Streams for metrics and tracing. The Akka Stream metrics include essential metrics for throughput and processing time of stream operators. 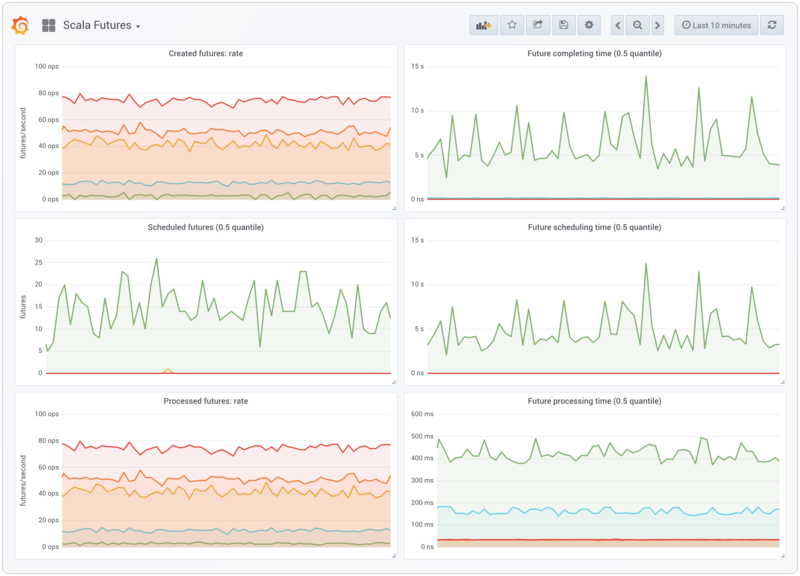 There are also extended stream metrics for recording end-to-end flow time, stream demand, latency, and per connection metrics. See the documentation for telemetry use cases for Akka Streams that describe how the stream metrics and tracing can be used for performance analysis and illustrate what to expect. The Cinnamon OpenTracing integration has received some improvements. Cinnamon now supports tracer-specific integration to allow for improved performance — allowing Cinnamon to check details such as the sampling decision for traces, so that extra allocations on non-sampled traces can be avoided as much as possible. The OpenTracing integration now makes use of trace continuations, where an active span is continued for instrumented but non-traced asynchronous components (such as Scala Futures or Akka Stream operators that are not configured as traceable). Previously, Cinnamon would connect the trace context across these non-traced components, but there wouldn’t be an active span available (for span logging or access to the trace baggage). Lightbend support for Akka 2.3 expired in April 2016, but Cinnamon has continued to support instrumentation for Akka 2.3. It’s now time to say goodbye to Akka 2.3. Instrumentation for Akka 2.3 was deprecated in Cinnamon 2.9 and has been removed for Cinnamon 2.10. Please contact us through Lightbend Support if you are using Akka 2.3. As always, we’re interested in any feedback or ideas for Cinnamon, to improve the visibility into reactive applications and distributed systems. Reach out to us through Lightbend Support or contact us.